To ensure reliability and safety, have your BMW, Mercedes, Mini or other European car serviced. In every BMW there is a large number of plastic components through which coolant flows in order to keep the engine at it's normal operating temperature. Unfortunately, when the car over-heats, you are most likely going to need new part installed if not the engine may get damaged. Do a Annual Brake Fluid Service. Always remember that the more you pay attention to your BMW, Mercedes. Mini, Audi the higher the chances to to catch some problems before you get stranded or have a small problem become a large one. 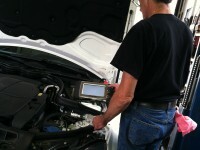 Bring your car in from whatever surrounding town you live in, Hackensack, Clifton, Wyckoff, Englewood NJ.